Rishabh has straddled between the for profit and non profit world for the last eight years. He has wide ranging experiences from IT risk management to non profit resource mobilisation. Rishabh has raised close to 2.4 million US dollars in the last four years, besides mentoring and driving a number of crowdfunding initiatives. In his last role, he set up and led the India resource mobilisation practice of Rainbow Homes, an initiative to provide shelter and education to homeless children in urban India.He has previously worked with Wipro Ltd., one of India’s largest IT companies and Anandi, a feminist collective in Gujarat. 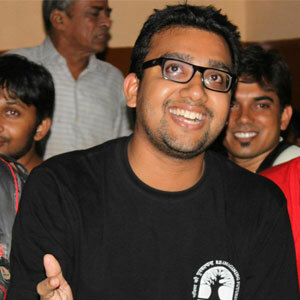 Rishabh has a masters degree in Disaster Management from the Tata Institute of Social Sciences in Mumbai. Passionate about a world free from inequality and violence, he believes nothing is impossible. He is a food and poetry enthusiast, loves meeting new people and forging authentic relationships.